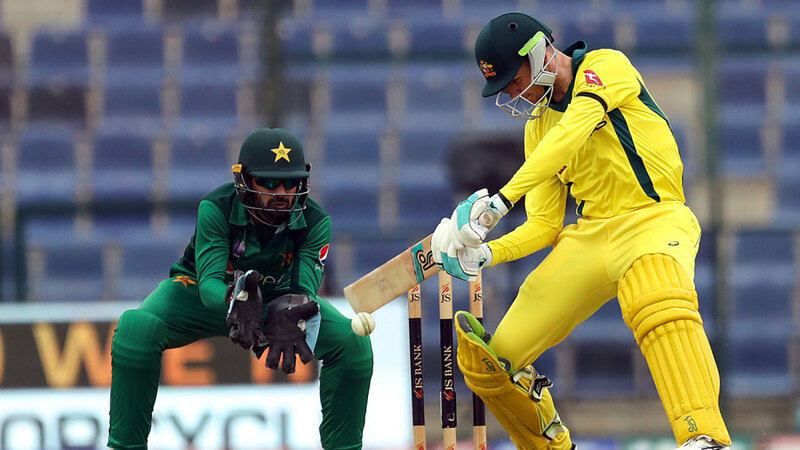 Australia's third emphatic victory in a row over Pakistan - and sixth consecutive ODI win overall - removed any pretense of series priorities to leave the remaining games as purely World Cup primers at the Dubai International Stadium. For both sides, this should offer freedom in terms of selection and experimentation, not that Pakistan have appeared perturbed by unsettling their team given the prolific cycling of players that has already taken place. But for the Australians, there is more fascination given the fact that this will be the first match to take place since the end of the bans for Steven Smith and David Warner, a moment in time that will only ramp up the sense among those players currently selected that they are on borrowed time in terms of shoring up uncertain places. Usman Khawaja, Shaun Marsh, Peter Handscomb, Alex Carey and the yet-to-be-selected Ashton Turner will all be looking over their shoulders to varying degrees. One player who appears to be settling nicely into his middle-order role - with the option of floating further up the order in the event of a big opening stand - is Glenn Maxwell. "Maxi is a player who people expect so much from every time he plays - because he has so much brilliance at times," the captain Aaron Finch said. "But I think what people don't see at times, when they get frustrated with him, is the amount of stuff he does in the field - if he averages 20 in a series, he might save 20 runs in the field as well. "He bowls overs, gets some wickets. It all adds up to a great package. And the fact he's batting at six at the moment - to give us that little bit of extra firepower towards the back end - is something we're conscious of and it's a role he fits really well." True story. After three matches of the series, Yasir Shah is the only member of the Pakistan attack to have taken more than one wicket - his tally is a princely two. But at the same time he has also been effectively milked for runs by the Australians on pitches not offering him too much in the way of turn, so much so that Yasir has been the most expensive Pakistani bowler of all those to have bowled more than 10 overs for the series. As a senior bowler, there is expectation that Yasir can lead a revival among his countrymen. The penalty for not doing so may be a less certain place in the team's plans for the World Cup. There are increasing rumblings that Australia will seriously consider giving the wicketkeeping gloves to Peter Handscomb when Steven Smith and David Warner return, heightening the focus on Alex Carey and his ability to make the berth his own. A little like Tim Paine in Tests, Carey has become adept at the handy innings that is not quite definitive, while his glove work has shown moments of brilliance and and a generally strong standard, though it is not entirely without blemish. For the Australian selectors, Carey needs to provide evidence that his value transcends that of an extra batsman, and he is running short of matches in which to do so. With Shoaib Malik, the captain in Sarfaraz Ahmed's absence, out with a bruised rib he picked up in the last game, Saad Ali will make his ODI debut. Imad Wasim will lead the team. Kane Richardson will be hopeful of some game time now that the series is decided. Dubai hosts the final leg of the series, with its surface expected to be straw-coloured and slow. Australia have clean swept a five-match ODI series four times previously - in New Zealand in 2005, in the West Indies in 2008, against Pakistan in 2010 and against West Indies in 2012. Shoaib Malik needs just three runs to surpass Mark Waugh (671) on the list of highest run-makers - Ricky Ponting (1107) leads the pack - in ODIs between these two sides; he will hope to get fit in time for the final game to get those runs. Roger Federer commented on how he enjoys speaking with legends of the past. What earned Matt Kelly IPL attention? Copyright © 2019 Dsports- All Rights Reserved.